Home > Portfolio > Kitchens > Private Residence, Durham. Private Residence, Durham. 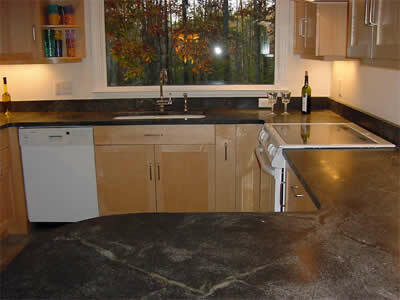 Ice Flower soapstone was selected for the tops in this house. Once cured with mineral oil, the rich green veins become prominent and provide lots of visual interest in this kitchen.